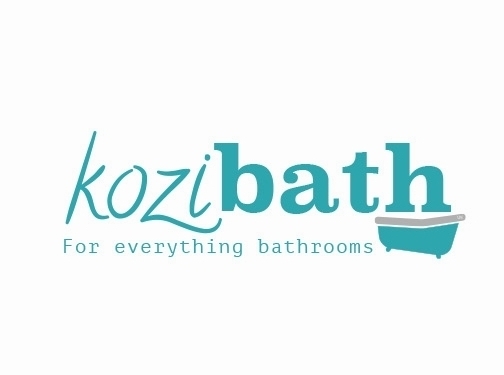 Kozibath offers standard bathroom suites, bathroom furniture, wall and floor tiles, radiators & heated towel rails. Our standard bathroom suites start at only £199! 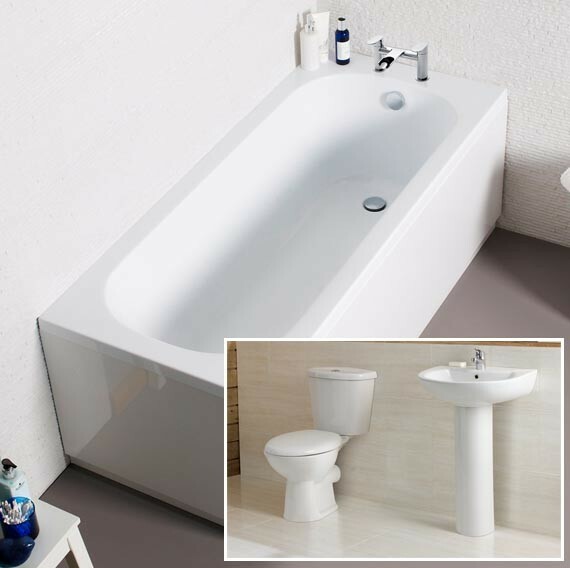 Included in this package is the bath, toilet, basin, taps, bath panel & waste. Shower Bath Package starting at only £299.99! 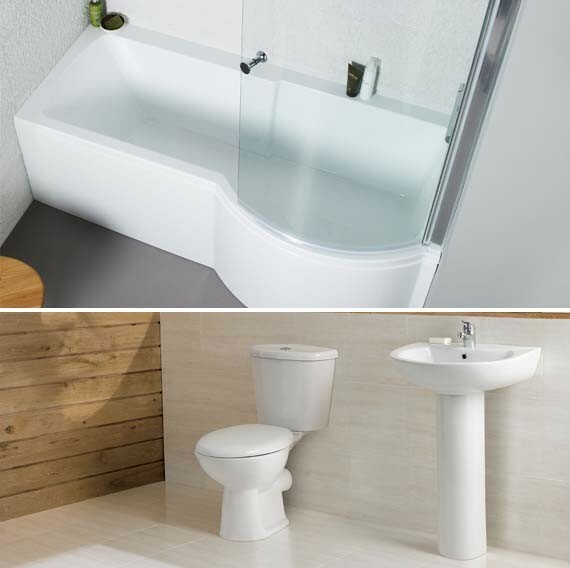 Included in this deal is the p shaped bath, bath panel, glass door, bath filler tap, toilet with soft-close seat, basin with full pedestal, mono tap and waste. UK (Douglass, Isle of Man) based buiness providing bathroom accessories for sale. Website includes e-commerce facilities, delivery and returns information, terms and conditions, FAQs, associations, full contact details including company registration number.